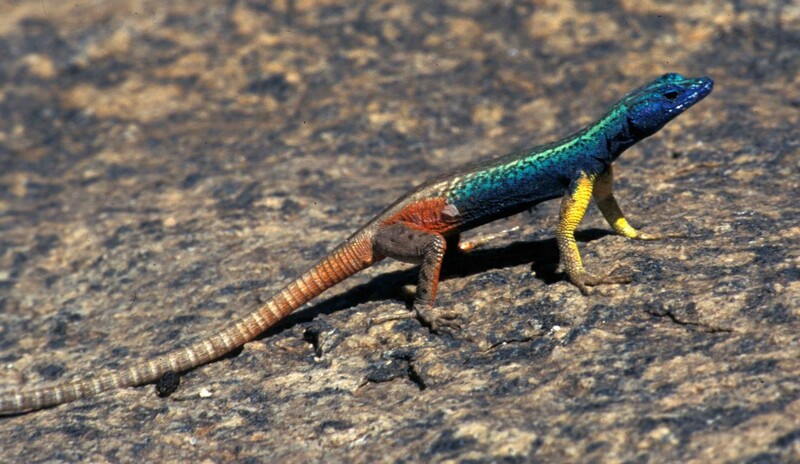 Augrabies Flat lizards, made famous in David Attenborough’s Life in Cold Blood (Dragons of the Dry) and also in Planet Earth (Deserts) have made the news again. 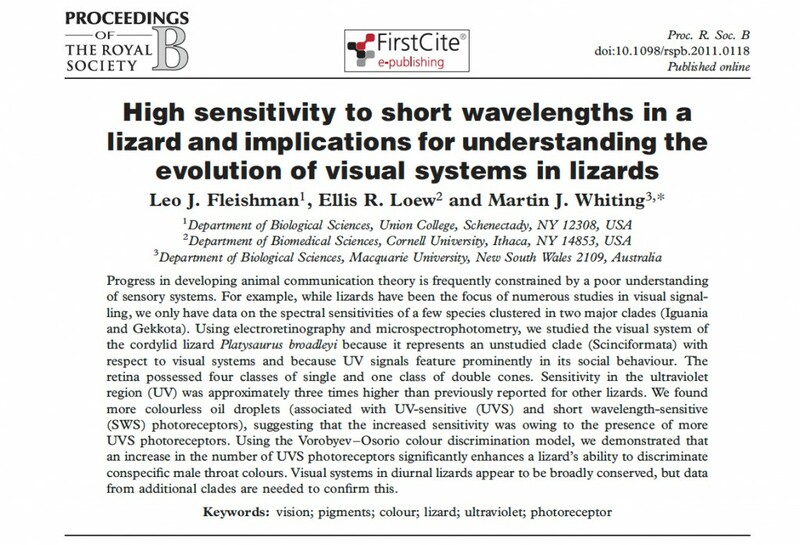 Our study of their visual system reveals remarkably high sensitivity to UV. 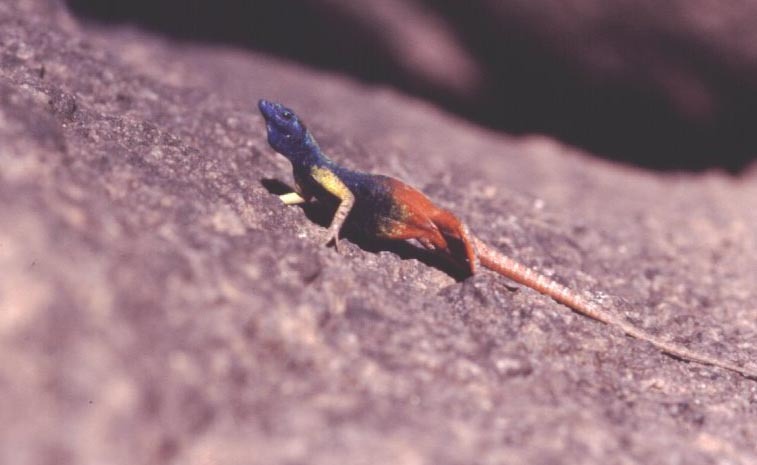 In fact, they are approximately three times more sensitive to UV than other lizards. You can download the PDF and you can read a popular account of this work. The study has also been featured on the Australia Geographic web site.